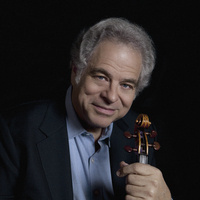 Undeniably the reigning virtuoso of the violin, Itzhak Perlman enjoys superstar status rarely afforded a classical musician. Beloved for his charm and humanity as well as his talent, he is treasured by audiences throughout the world who respond not only to his remarkable artistry, but also to the irrepressible joy of making music, which he communicates. As the cultivating performance in the 11-day Unveiled celebration, Mr. Perlman will present Max Bruch’s Violin Concerto No. 1 in G minor with the DePaul Symphony Orchestra under the direction of Dr. Cliff Colnot. $45 | Sold out. Please call the box office at 773-325-5200 and ask to be placed on the waiting list.